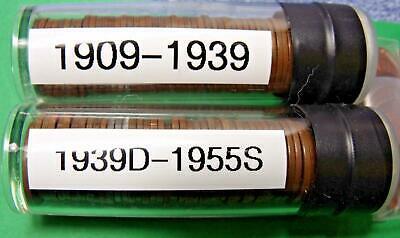 09, 09VDB, 11-D, 17-S 1910-59 Lincoln Cent Lot - all years, no 1922 (110 coins)! Popularity - 37 views, 1.2 views per day, 32 days on eBay. High amount of views. 0 sold, 41 available. 37 views, 1.2 views per day, 32 days on eBay. High amount of views. 0 sold, 41 available. Seller - 1,607+ items sold. 0.2% negative feedback. Great seller with very good positive feedback and over 50 ratings. 1,607+ items sold. 0.2% negative feedback. Great seller with very good positive feedback and over 50 ratings. 1909 - 1940 Linc. 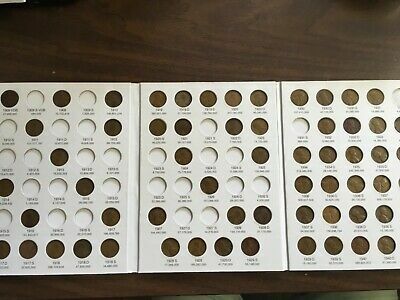 Cent Set; PDS,Wheatback; 09VDB, 22D, More In Coin Folder! !